peach still sweeting, not done yet! rod still reeling, not done yet! kart still going, not done yet! odd still jobbing, not done yet. bees still hiving, not done yet. Heart still braving, not done yet. Nerf still gunning, not done yet! bases stealing, not done yet! night still starring, not done yet. Moon still blooming, not done yet! Where are you in the wheel of the year? Clicking slowly and deliciously up-up-up to the first day of school, ready to ride that roller coaster, or noticing already the drawing in of the evening light, the scatter of yellow leaves on the still-green lawn? Or perhaps you are good at being smack in the middle of the moment...your post should give us a clue! Thanks for joining in this week, the last week of the Summer Poem Swap--I look forward to sharing the riches I received next Friday. Now then, click below to leave your link for all to follow! I'm so slow, Heidi. I almost asked if you realized your poem wasn't showing up. Duh. Now I get it:>) Savor your last days of summer! Heidi, this is glorious! One of my favorites of yours--ever. That first stanza and then the moon blooming especially got to me. Happy winding-down days! We've been super busy at the library all summer long and now it's time for me to start planning a vacation--as far away from people as possible! You're doing something right if the library has been that busy! Enjoy your interlude of solitude! Heidi, your poem is really speaking to me today. My son left for college this morning. I suspect, no matter when he left, I'd have that "not done yet" feeling. I especially loved your "ball still foozing" line! Hee. One of the things I do feel pretty done with right now is parenting the son and his summer homework...but I will feel exactly as you do when that time comes, I'm sure. Good work, Mom! Great poem, Heidi - sounds like me! Between the beaching and the gardening and the two-young kids-ing, I've barely had enough to write...but fortunately, I've had just enough time to crank out two more PB manuscripts, one of which I'm currently revising. That said, I have no post today, but I am sharing my most recent post, my interview with Rebecca Kai Dotlich. Hope you're enjoying your summer as much as your poem makes it seem! Wonderful poem Heidi. I love the use of repetition and the shift in rhythm between the two stanza patterns. In my part of the world it is winter, with just a few hints around that spring might be actually coming. Seems we're sharing similar head space this week, Heidi. I love your poem! I, too, am in a NoNotYet frame of mind. More button snoozing, pleeeeeeeeeease...? One more week for us until the kids go back to school. Heidi, not done yet is a great line that expresses your zest for summer days that want to linger. Today was one of those absolutely beautiful days on Long Island that should have never stopped. Rewind. Loved the poem! Definitely reminds me how I felt when summer was coming to a close. Love that poem, Heidi! Very clever. Thank you for hosting! This poem is suuuch fun to read and captures our hearts at the end of August. Taking three teens on vacation in a week with summer homework to do, this one gave me a giggle. 'Can't wait to show it to them! Thank you for hosting today. At The Poem Farm, I have a link back in time - we're off to DC for a family baby shower, so I'm just sharing an oldie. Ah, yes...this poem resonates. I'm looking at the summer homestretch, it's back to the real world next Sunday. Thanks for hosting today! I love this poem, Heidi! It captures what I am feeling at this moment. Thank you for hosting, and enjoy these last days of summer! I'm humming my own verse to go along with the "No! Not yet..." chorus. LOVE your poem! That is a great poem! I remember feeling that way. Since retirement, my summer stretches on just a bit longer on both ends, so I don't get quite the same feeling as when teaching. But I still hate to see the winter approaching. Again - wonderful, wonderful poem. Loved the playfulness of the words - another refusal to be ready to get down to business! I love this poem, Heidi. Imaginative, and so true! Some leaves are already getting a bit red up here in NH, and the days are noticeably shorter. Enjoy the rest of your summer! I don't want to be done with summer yet, but my English teacher husband is already back at school, and we are feeling the pain of having said good-bye to empty summer days. :) My college girls will start school soon, but Ramona and I still have the freedom to hold out until after Labor Day, and that we shall do! :) Happy last days of summer, Heidi! What a fabulous poem. I'm never done with summer, but every year, it's done with me and then there's winter. 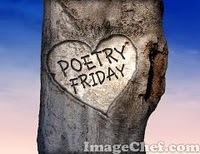 And thank you for hosting Poetry Friday this week. Love the poem, Heidi. Hope you eek out every last bit of summer glory. 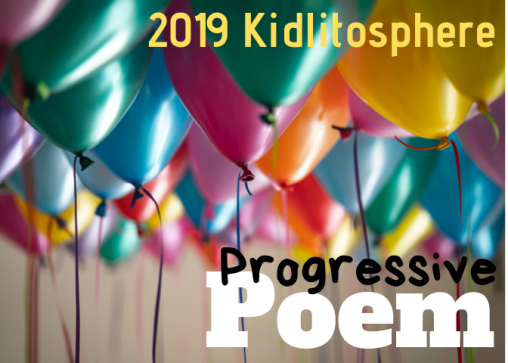 Wonderful poem, Heidi! No, I'm not ready yet. Even with no kids at home, I'm still not ready yet! MORDHORST POWER ... Not done yet!